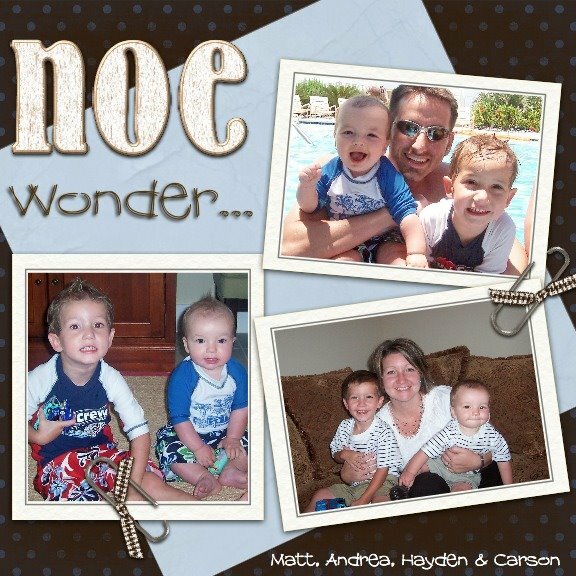 The Noe Family: Just updating....b/c I need to! I love them in their ties! So precious. I think my other favorite is the one of Carson peeking through the fence. It just looks so funny. Love these sweet boys. I guess the "monster" has finally left your house? I love the pic of him peeking through the fence...who doesn't love checking out what the neighbors are doing, lol! ok you know I am a sucker for boys in a tie! Adorable! You made me LOL, LOL with the "Farley" and the "Feminine Pose" ...see you need to blog! You make me laugh! :) Love! Good to see you out in that great back yard. It has NO dog poo. Can't wait for more sunshine, love the ties.